Letting go of that struggle to appear perfect can be such hard work. 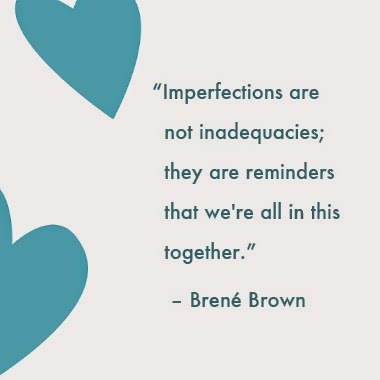 But each time you can embrace imperfection, you bring a little more peace into your life. Is it just me or has this been a long week? If you need a little moment of peace, sit back, zone out and zen up with the sweet, soothing sounds of this ornamental garden fountain. You know, my husband often catches me gazing intently out the window or across our yard and asks me what I'm staring at. "I'm meditating," I tell him. You don't need a yoga mat or incense or a guide to get to a place of stillness. All it takes is being present and allowing yourself to melt into the world around you a little. Enjoy the fountain. Enjoy the melting.